The month of March was a rough one for Laval but several of their other prospects had strong months, earning them the top billing in our prospects of the month. 1st Star: Jake Evans – He has been hot and cold in his first AHL season but this was one of the strong months for Evans. Injuries and the trade of Michael Chaput forced him into a full-time spot on the top line and he handled the extra responsibility well. 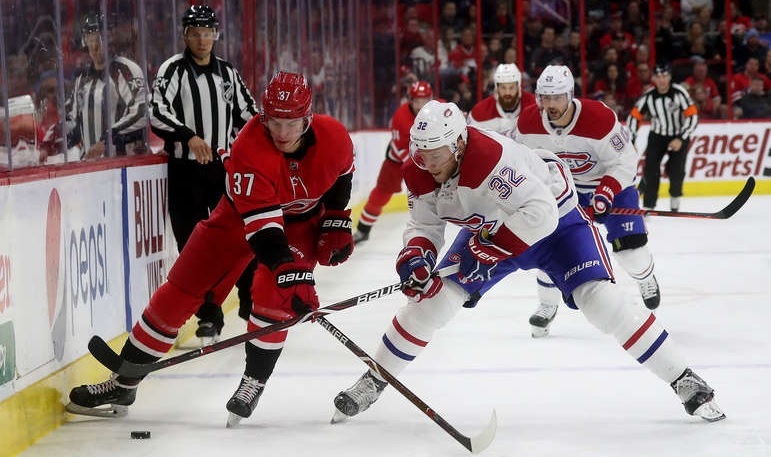 It’s a nice way to finish off his rookie professional campaign and he has done enough to put himself in the discussion at least for a spot with the Habs next season. 2nd Star: Alex Belzile – Ho hum, another strong month for Belzile; he has been a staple in this series all season. He’s a fixture on the wing on the top line most nights and has more than done enough to warrant another contract from the Rocket next season. It’d be nice if that was announced over the next few days. 3rd Star: Lukas Vejdemo – For the most part this season, Vejdemo has been solid defensively but hasn’t done much at the offensive end. (That was more or less the case when he was in Sweden as well.) He became more of a two-way threat in March while holding down a second line spot. Unfortunately, an upper-body injury suffered late in the month derailed any last-season momentum he had. Honourable Mention: Alexandre Grenier – He finished tied for second on the team in scoring so that warrants at least a mention here. All but two of the points came in two games but those were two of the few games that Grenier has made much of an impact this season. 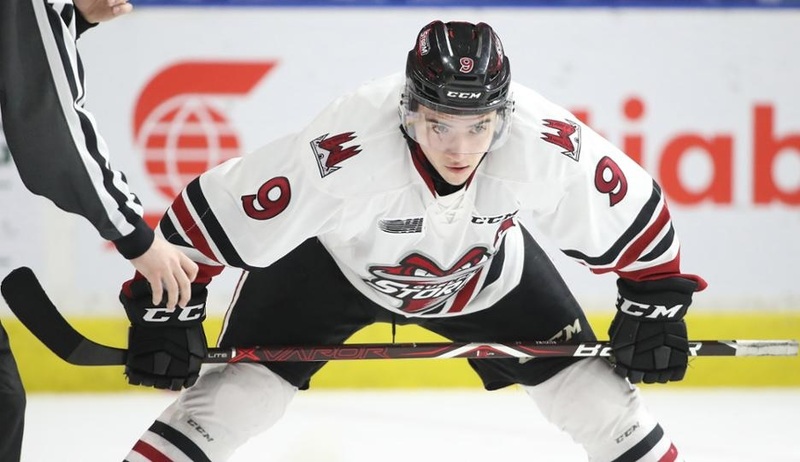 1st Star: Nick Suzuki (Guelph, OHL) – Remember when he was scuffling shortly after being dealt from Owen Sound? That isn’t the case now as Suzuki has been nothing short of dominant with the Storm. He finished up the regular season with a bang and carried that over with a strong showing in the first round of the playoffs. He’s supposed to be an elite player and he’s doing exactly that. 2nd Star: Cayden Primeau (Northeastern, NCAA) – While his final game wasn’t the best, the rest of Primeau’s month was nothing short of exceptional. 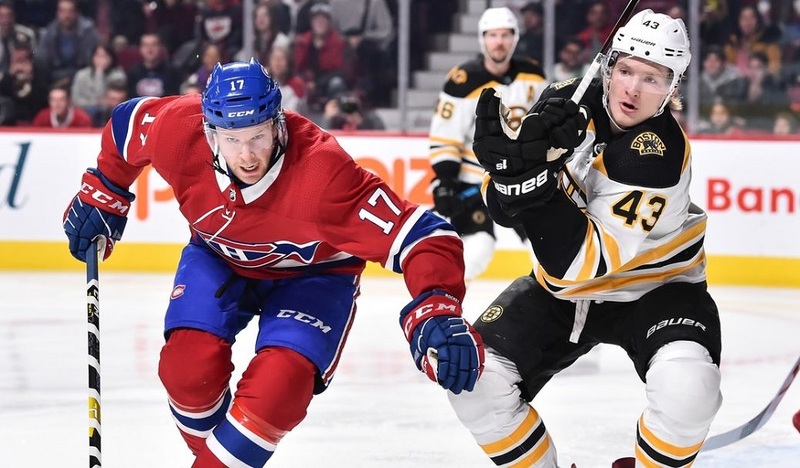 It’s not surprising that the Habs decided to turn him pro after just two seasons as quite frankly, there wasn’t much point in having him go back for a third year. He’s already dominant plenty at that level so it’s time for a new test. 3rd Star: Josh Brook (Moose Jaw, WHL) – It was a bit of a quieter month by Brook’s standards but even a quiet month was a strong one. While I like seeing some Montreal prospects go deep into the playoffs, I don’t mind Moose Jaw getting eliminated early (despite Brook’s efforts) to allow him to get a decent chunk of action with Laval to finish the season. Honourable Mention: Joel Teasdale (Rouyn-Noranda, QMJHL) – I know Teasdale is on a loaded team but it’s hard to not be impressed with how productive he has been. He’s not the flashiest of players either, he’s just getting to the scoring areas and taking advantage. It’s hard to complain about the results.